The Hickory Tree, which is part of the Carya genus, has from 17-19 different species, which are native to parts of North America and Asia. 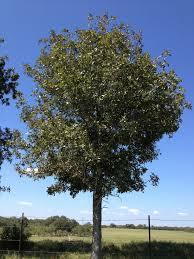 The name Carya derives from the Greek word nut, and the tree shares the same family as walnuts and pecan trees. The hickory grows very large with branches that can grow up to 25 feet. The trees' leaves maintain a bright green color most of the year but change to a deep yellow or gold when autumn arrives. Hickory trees have a long lifespan, and many survive over 300 years. A notable characteristic of the tree is that it often bears a shaggy look due to the curling of the peels. The green male flowers pollinate the female flowers by the blowing wind. When ready, the tree produces an edible hickory nut that is about 1 inch in diameter. Hickories are excellent landscaping trees, and they do the best in full sunlight. Hickory trees require super rich soil that drains easily. 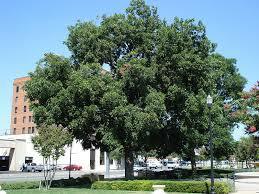 The best time to grow Hickory Oak Tree is in spring and fall. If growing with seeds, they should be planted 4 inches below the surface and after the last frost of the season. For growers who wish to first treat the seeds, it is suggested that the seeds should be soaked in water. Water separates the good seeds from the bad, as the viable seeds sink, and the bad seeds float. Growers should also keep an eye on the planted seeds because small animals such as squirrels, rabbits, and chipmunks love to eat the seeds. The soil should be watered liberally, but not over watered to avoid root rot. Hickory tree wood is tough and dense. The wood is excellent for making tools, furniture, drumsticks, golf shafts, walking sticks and even paddles. The wood is also used for barbequing and smoking flavorful meats. The hickory wood's high energy content makes it a popular choice for wood-burning stoves. Some species of the hickory is used to make syrup. The Hickory tree is by far one of the most popular trees in existence because of its longevity and multiple uses.